No where in the Southern Indiana/Louisville metro will you find the level of coaches and resources that Team Jeff offers its wrestlers. This is proven in the Team Jeff record – over 6 wrestlers currently wrestling in college, two of those D1, and more state qualifiers than any other area club since 2000. Team Jeff’s level of success rivals the level of other great Indiana clubs in Evansville and Indianapolis and is right in your own backyard. The big benefit of joining a Team Jeff Wrestling is the coaching staff. 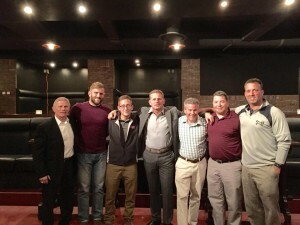 Coach Struck is highly decorated, coaching with the USA National Team and a former president of the Indiana Wrestling Coaches Association (this summer he coached for Team USA in the Junior Pan Am Games held in Cuba). In addition to that, Coach Struck has won Indiana State Wrestling Association Coach of the Year. Assistant coaches Fridley and Maddox are also both highly decorated, with Coach Fridley, a former collegiate wrestler, coaching with Team Indiana every summer. Coach Maddox, a former professional football player, is widely known as the best upper weight coach in Southern Indiana. One of the other benefits Team Jeff Wrestling offers is paying half for camps. For instance, the Lindsey Wilson Technique & Intensity Camp and Folkstyle Nationals are two events that Team Jeff helps pay for. Try finding that somewhere else. 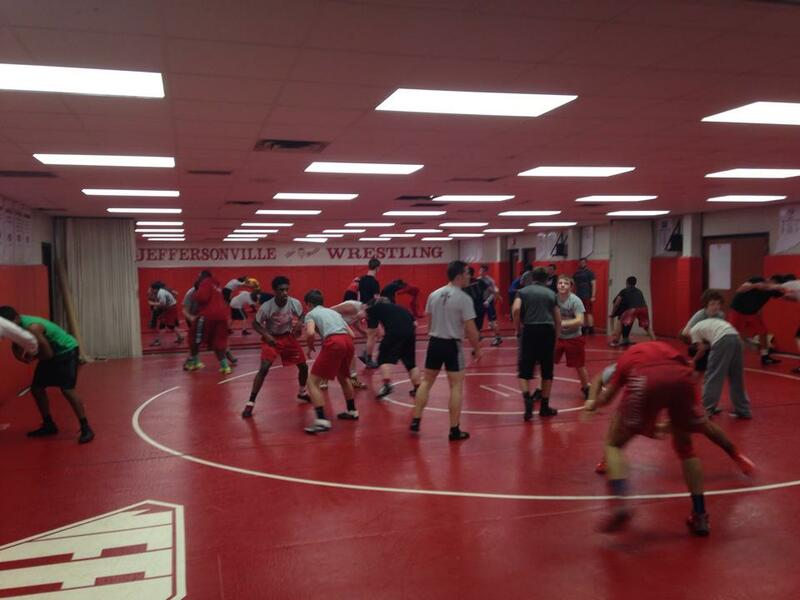 Another benefit is of Team Jeff Wrestling is the region’s RTC (Regional Training Center) being held at Jeffersonville High School. This past year, St. Catherine College, University of Indianapolis, Indiana University, Manchester College, Mount St. Joe’s, and Lindsey Wilson all visited and ran a RTC practice. Past years have included Lindenwood-Belleville University, Cumberland University, and foreign national teams from Japan, New Zealand, and Turkey. In fact, regularly there are over 50 wrestlers from Floyd Central, New Albany, Charlestown, and New Washington participating in these practices. The local wrestling community knows where to go. Ask yourself where else can you get this level of coaching and resources in Southern Indiana? The answer is none as the only place is Team Jeff Wrestling. Copyright Team Jeff Wrestling Club.